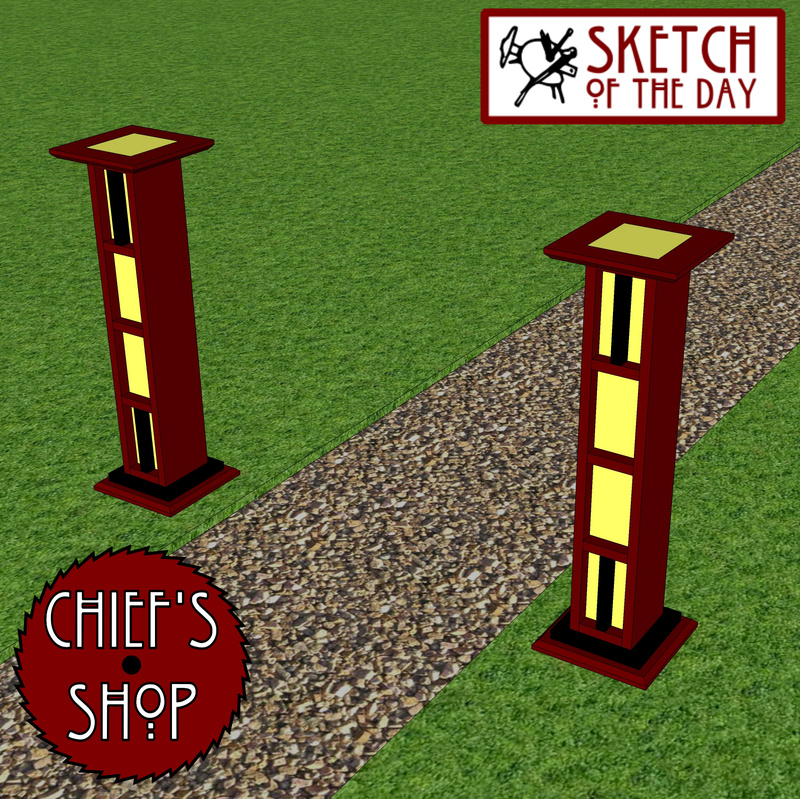 A design concept for an outdoor pedestal light/shoji lamp. 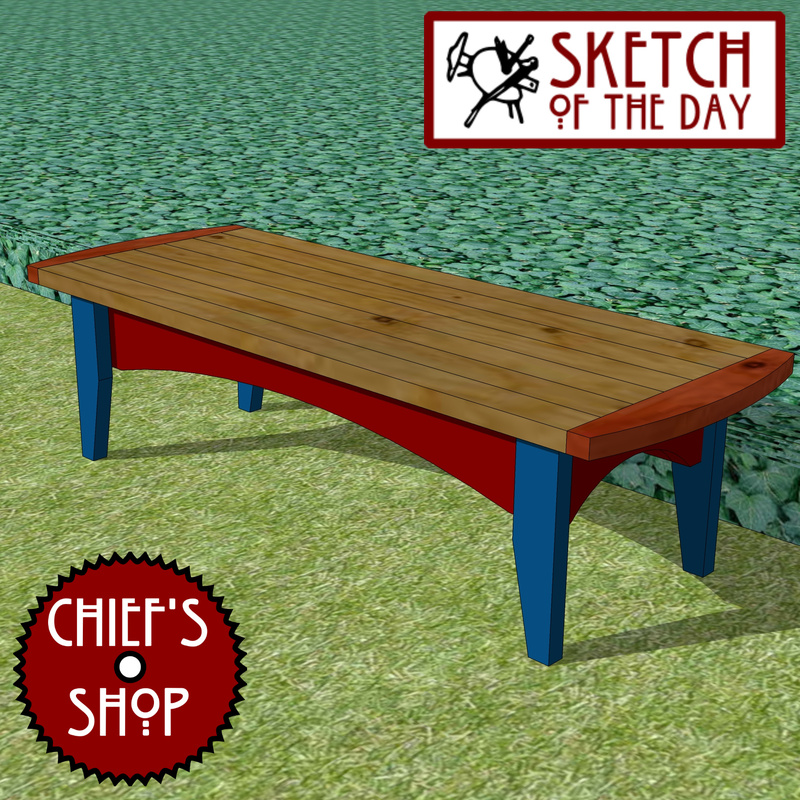 A design concept for an outdoor bench. 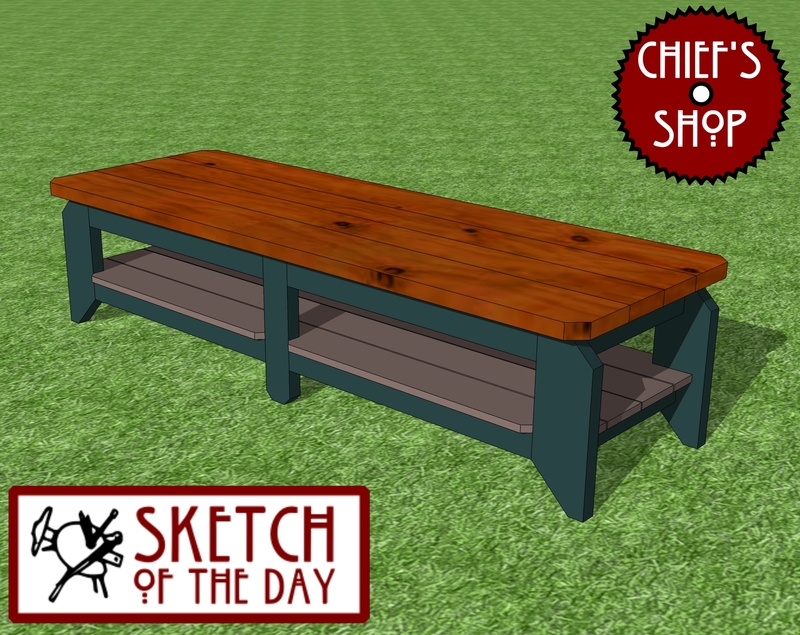 An outdoor bench design concept for a park or hiking trail. 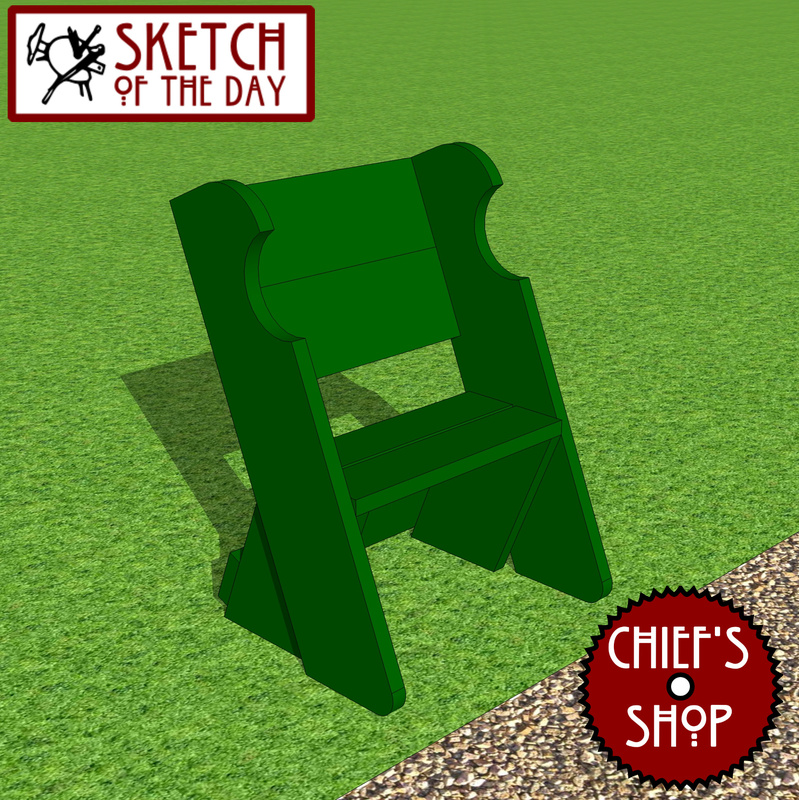 An outdoor chair design concept for a park or hiking trail. 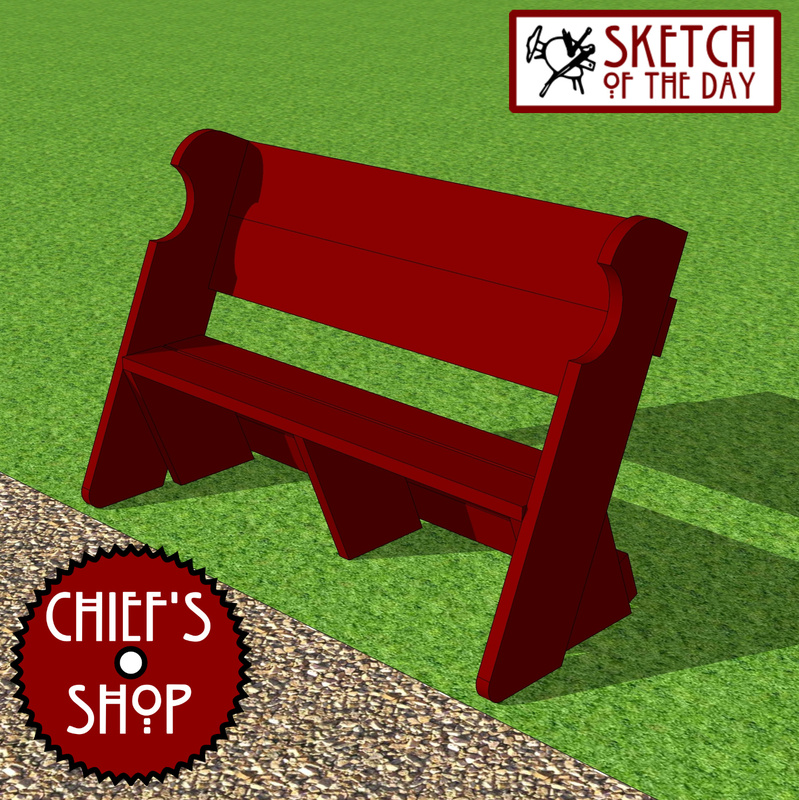 A bench concept I could see on the sidelines for kid’s sports. 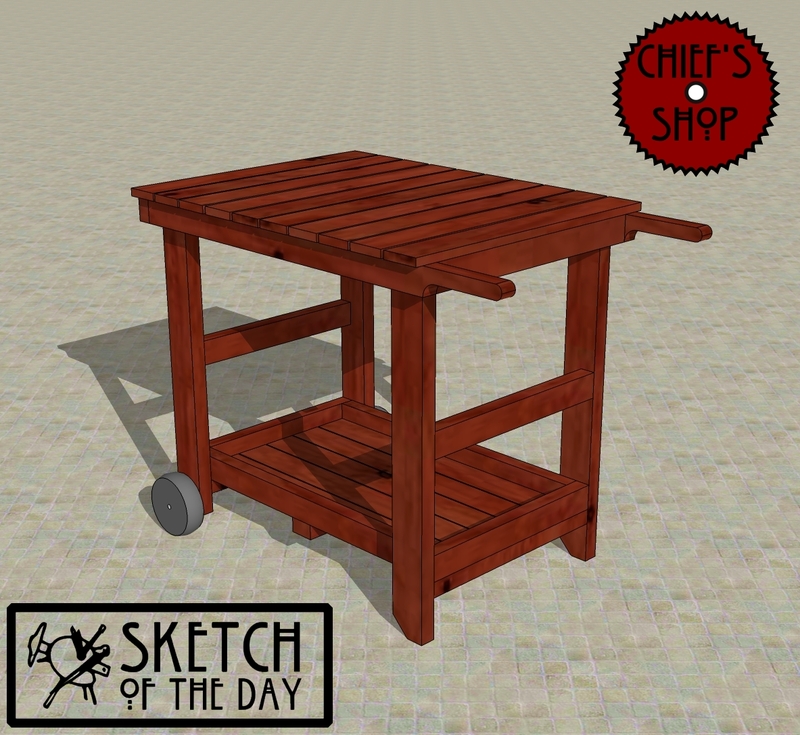 A simple cart concept for use next to a grill, or as a serving cart on a patio or deck. 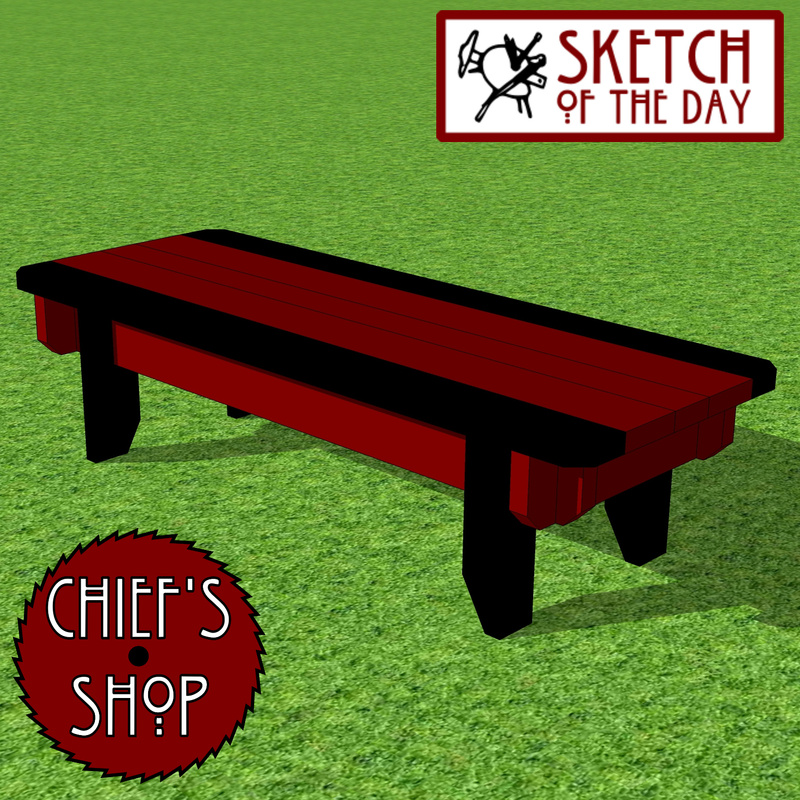 The Chief’s Shop Work Adirondack-Style Rocker was a Viewers’ Choice Sketch of the Day last December and proved to be popular as a sketch. 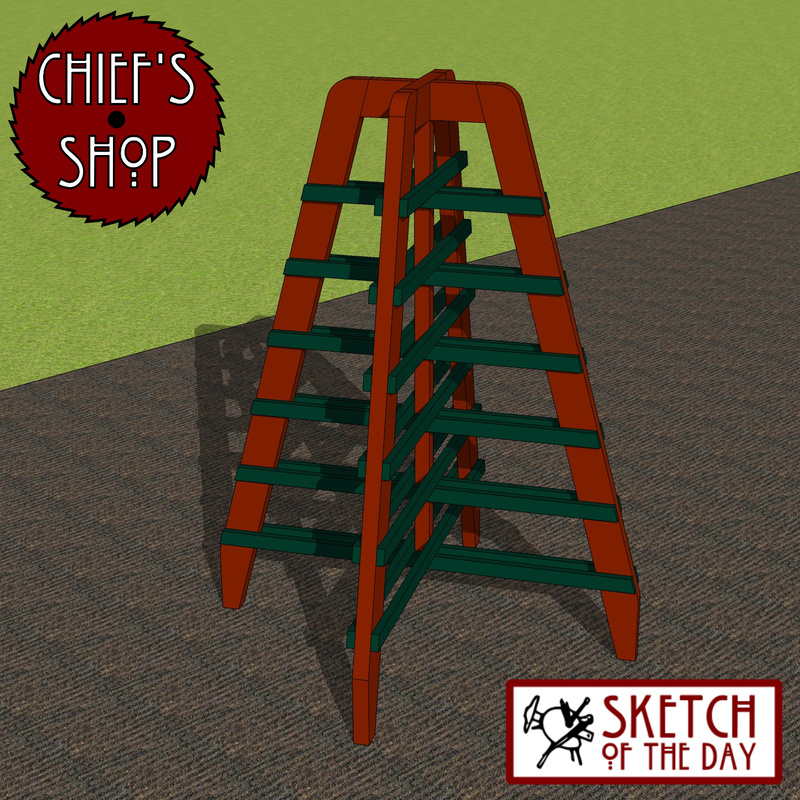 It’s a bit more complicated than most Plans of the Week, so be prepared for it to take a bit longer. 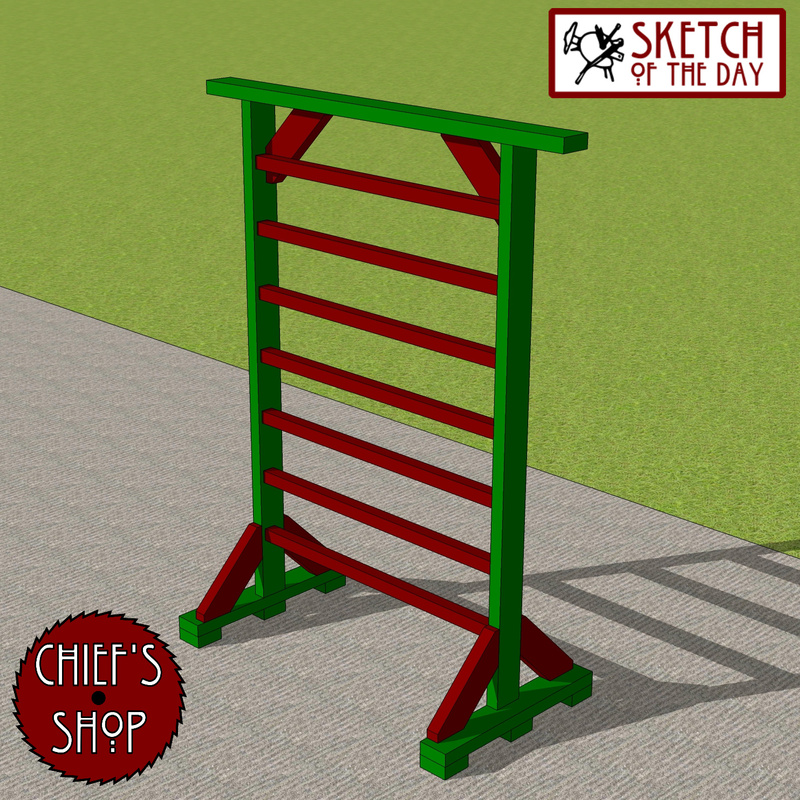 You’ll need a table saw, miter saw, jig saw, drill/driver and the Kreg Jig® to build it.